This special station will be on-air for the rest of October including Halloween night for all your party plans or just to get in a creepy crawly mood. Hear non-stop musical tricks and treats - the perfect soundtrack for the ghoulish season! The spooktacular Halloween playlist includes The Monster Mash, Ghostbusters, Thriller, Spooky, Rocky Horror Picture Show, Alice Cooper and more! 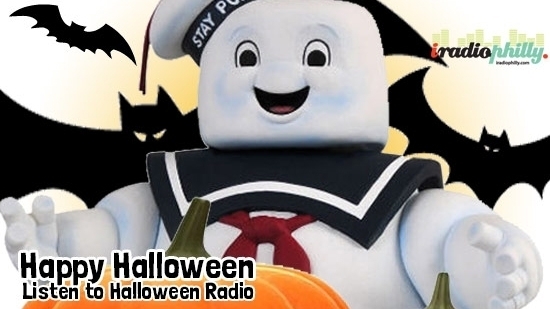 Tune in to the Halloween station streaming on your computer at iradiophilly.com/halloween or get the FREE iRadioPhilly App for your iPhone, iPad or Android and take the haunted music mix with you everywhere! Visit the Halloween Station Page !